You read a lot about the zero-collision nirvana of autonomous driving, but cars have been getting safer for a long time. Collisions per mile driven dropped over 30% between 1995 and 2010, mainly due to mature technologies like anti-lock braking percolating their way through the car parc. These new technologies haven't stopped arriving: lane departure warning and blind spot monitoring are examples of the next frontier of car safety, starting to become commonplace in new vehicles. But the decline in accidents per mile has reversed since 2010. Why? The long-suspected culprit is distracted driving: we just can't put our smartphones down. 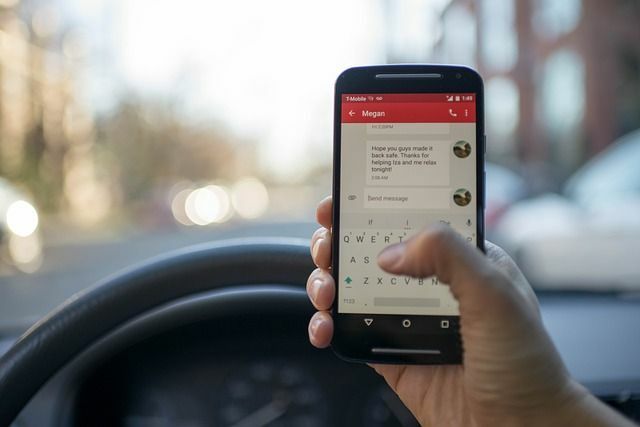 This astonishing report, written by a telematics company and based on actual behavioral data, confirms the problem: half of drivers use their phone while driving, and those that do are on their phones for nearly 4 minutes for each hour of driving! Sadly, there is only so much that lane detection can do to save us from our own stupidity. Distracted drivers use their phones for an average of 3-minutes, 40-seconds of every hour. At 55 mph, this is like 42 football fields blindfolded.